You have already watched English training video on How to start a conversation or a group discussion, today you will learn, how to exit a conversation without being rude or offending someone. In today’s English lesson learn Polite English Phrases (to speak politely) that you could use to look more polished and not be rude when you have to suddenly leave a conversation. This English lesson is part of our English unplugged series. Jack is native English Teacher from the beautiful Auckland, New Zealand. Jack follows British English and this lesson would be a good practice for listening English and understanding the British Accent. 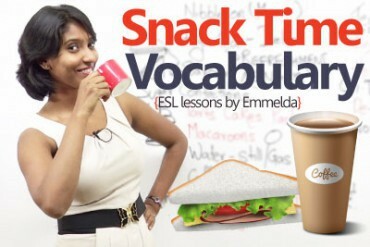 For our English speaking courses and Join our spoken English classes visit our website http://www.letstalkpodcast.com. 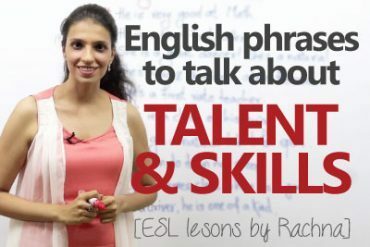 Also, do watch our other videos covering topics such as Grammar, Vocabulary, Accent Training, American English, Communication skills to speak English fluently and confidently without any fear and hesitation. Hi! Jack here with another Let’s Talk video. Today I want to help you escape some awkward situations. Situations we have to exit or leave a group but maybe you’re unsure how to do so, you don’t want to seem rude. Imagine you’re surrounded by all English speakers and all of a sudden you decide, it’s time to go, maybe you have somewhere to be, you have to get home or maybe you’re on your lunch break and you need to get back to work. What do you do? Do you just sit there or do abruptly say, “Goodbye! I’ve got to go.” But the or yeah or you sit up and you stick around and you end up being late. You don’t wanna be rude, so you just wait it out. It’s not good. It’s awkward. So in today’s lesson, I’ll give you some tips to get you out of a casual group conversation politely and quickly. So stick around while we cover some of these exit strategies. You’ll be able to them in everyday, don’t worry, I’ve got you covered. All right, the first one I’ve got for you is, ‘sorry, I have to run’. Now don’t be frightened. To use this, it doesn’t mean that you’ve suddenly announcing that you’re gonna go for a run. Now that’d be a bit strange to say it at least. What this means, ‘sorry, I’ve got to run’, it’s a very casual way of informing people that you have to leave. It’s not impolite, however it is informal. It’s best to be used in a casual environment. Maybe, you know the people well. For example, your classmates, colleagues or even your boss. You can also use an alternative phrase such as, ‘sorry, I’ve got to jet’ or ‘sorry, I’ve got to scoot’ both these expressions have the same meaning. I tried to finish work yesterday early to pick up my car. So as I was leaving, I got called into a casual meeting and I had to say, “Sorry, I have to run, can we pick this up in the morning?” It was fine. Okay what’s the next one, let’s have a think, ‘I’m going to head’ or ‘I’m gonna head’ or ‘I’m heading out’. The verb ‘to head’ somewhere implies that you want to make a move in a specific direction. I’m giving you the direction I’m going. I’m giving you the implication, “I am going home.” So if someone says to, “I’m heading to work.” It lets everyone know you know where you’re going, they know where you’re going. You are heading somewhere if you have to be somewhere else and times getting on this is a great one to use as you’re providing a location you’ve given them information about where you need to be. So what it does it makes it understandable to a group or whoever you’re with that you need to be somewhere else. “Look everyone I’ve got to head out, I’ve told Mum, I’ll pick her up from the airport and her plane is arriving soon.” “I’m heading out to pick her up.” I hope that makes sense, ‘heading out’. Now the next one I’ve got for you guys is, ‘I better get going’. Now this expression has a bit of urgency to it. What you’re saying is maybe that there are more pressing matters at hand. It sort of conveys the message that maybe you’re running late or you’ve got a deadline, it’s um, it definitely puts a bit more emphasis on the matter. So when you say, “I better get going”, it gives the effect that maybe there’s something else required of you. Maybe you need yourself to be somewhere else. Maybe there’s someone else involved or there’s another plan. So I was at the office party the other, other week and I had to let the group know that I had to head off and the reason for this being was I played football in the morning. So what I did was I said to the group, “Right guys, I’d better get going, I have to wake up early in the morning.” And this gave the indication that I had something on in the morning and therefore it was acceptable for me to leave. I hope you know what I mean when I say, ‘I better get going’. Alright the next one I got is a bit of a fun one it’s, ‘I am out of here’ or ‘I’m out of here’. Now this one might sound a bit disrespectful so please be careful about the tone in your voice. You would say it like this, “I’m out of here.” You would not say it like this, “Ah! I’m out of here.” The way you present this shows what you mean so you do not want to indicate that maybe your board or your uninterested and you just want to leave, but it is definitely one to only use around friends. You might hear sort of the younger people, maybe teenagers using this one a lot. So again I would recommend keeping it for casual conversation, not to be used around the office or workplace. Right, let me give you an example with this one let’s say it’s, its Friday you finished work and you’ve gone down to the bar with some friends. Now they’re looking at having some fun maybe staying out a bit later, but you’ve got family over, so you would say, “Right guys, you know it’s been great but, I’m out of here, I got family at home, things to do, I’ll see you guys next week.” You see the way I said it was very casual, calm, not insulting but they got the message, ‘I’m out of here’. Right the next one I’ve got for you is, ‘I’m gonna have to call it a day’. Now this is used to imply that you’ve pretty tired or you’ve been working very hard or you had enough excitement for a day. It can be used sort of both formally and casually and there’s no real sort of set rules about it I mean I often use it at the end of my workday, I’ll jump up and say to the boss, “Right Tony, I’ve had enough, I’m calling it a day.” Now this is interesting though, Alternatively if maybe I was spending some time with some friends maybe at a friend’s house for a barbecue with dinner and it was time for me to head home I would say, “I’m gonna call it a night.” You see what I did there I changed up day and night. So this is important if it’s during the day you would say, “Right I’m gonna call it a day.” At nighttime, you change it to night, so you would say, “Right, thank you very much, I’m gonna call it a night.” I hope you get what I mean me of calling something a day or night. Alright guys we’re gonna wrap it up there. What I’ve given you now is ten phrases you can use to exit a group situation. Please get out there and use them. Don’t be afraid and I tell you what if there are any other topics that you’d like me to cover please comment below and while you’re at it why don’t you give me a like, maybe subscribe and tick that little bell icon so you get constant updates when I have new videos out. Look enjoy the rest of your day, I’ve enjoyed talking to you, I’ll see you next time, Jack… thanks a lot. Next Next post: 10 American English Idioms & Expressions I Love to use in daily conversation. 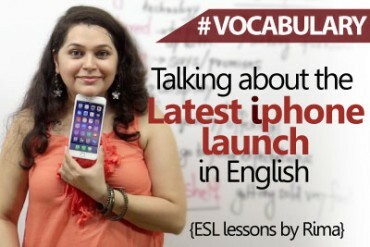 Talking about the new iphone launch in English.